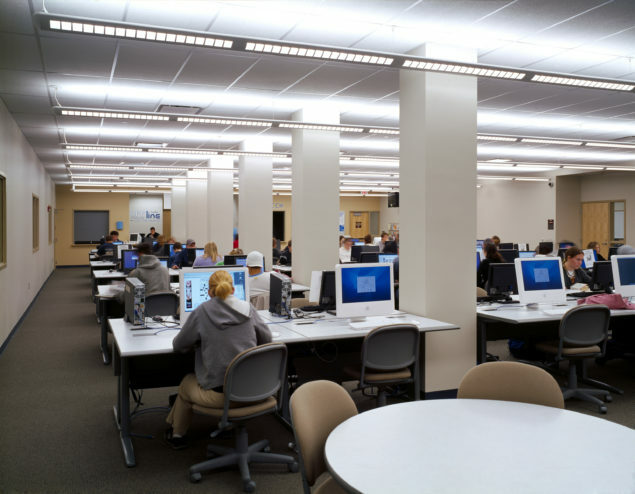 With increased enrollment to 3,800 students over the past several years, Penn State Altoona needed additional classroom and faculty office space. 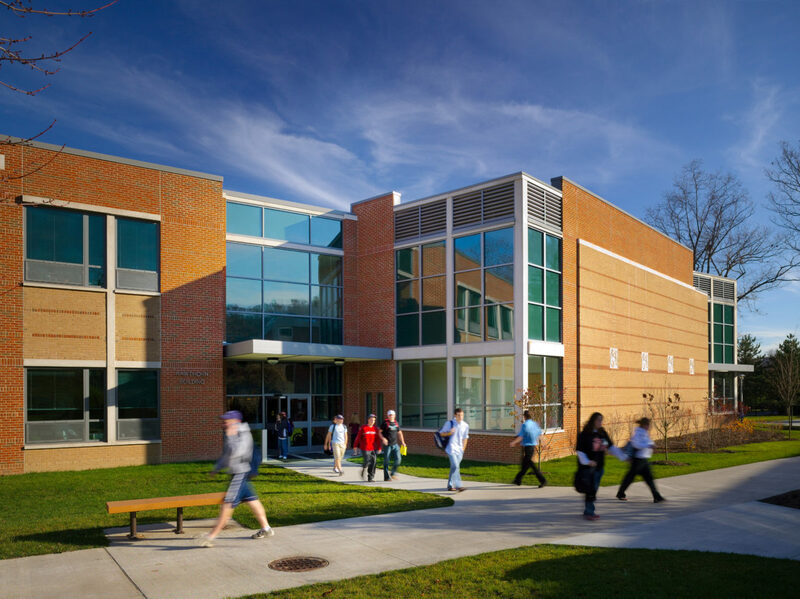 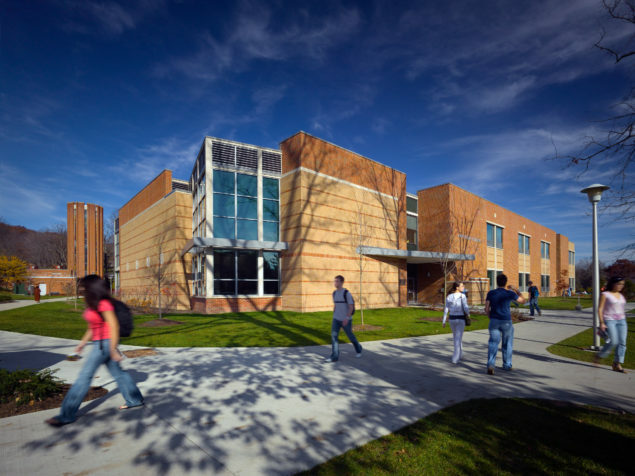 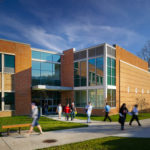 As a result, the Pennsylvania Department of General Services commissioned WTW to design and construct the college’s new 58,000-square-feet classroom building. 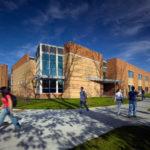 A design goal for the project included preserving the distant mountain views from the student union across the campus pond. This was achieved by maintaining a two-story building height with rooftop mechanical equipment being screened and recessed on a one-and-one-half story portion of the facility. 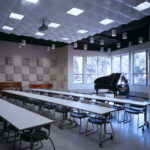 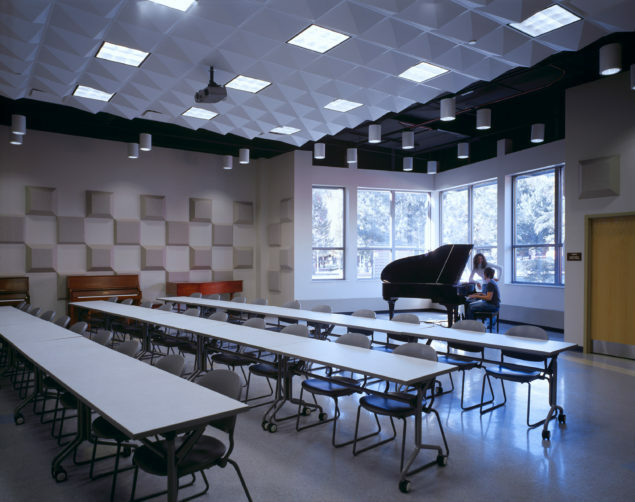 The facility’s program includes 16 general class and seminar rooms, a lecture hall, a music classroom, 62 faculty offices, and a state-of-the-art computer center. 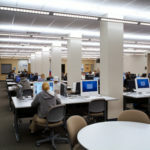 The facility provides much-needed instruction space for the college, which became a four-year institution recently.